If you were to visit the Moroccan city of Chefchaouen, you might be surprised to see such a remote mountain city abuzz with tourists. And if you have come to Morocco in search of a certain buzz of your own, strolling past Mohamed Aabbout’s cafe would be a stroke of good luck. Because given half a chance, Aabbout would show you a large hash pellet and invite you on a “field visit” to nearby cannabis farms. And if you were to take Aabbout up on his offer, you might soon find yourself asking: Is Morocco the latest hot pot travel spot? Why Is Morocco The Latest Hot Pot Travel Spot? On a typical day in Chefchaouen, a laid-back mountain city about 70 miles southeast of Tangier, Mohamed Aabbout waits for tourists to stroll past his well-located cafe. Many of the tourists have come to see the city’s famed blue houses nested in a maze of tight, winding alleyways. But many of them have come in search not of the city’s blues, but its green. For them, Aabbout will flourish a large ball of superbly pressed hash. The perfect lure for enticing visitors to book a spot on a tour of the nearby cannabis fields. It’s a scene that repeats itself yearlong in the North African country, which welcomes thousands of tourists from Europe and other North African nations. And many of those tourists have come to partake in an experience which isn’t listed in any official tourist guide or Lonely Planet handbook. Yet cannabis cultivation and hash pressing have put the high-altitude city of Chefchauoen on the map. And it’s not the only city offering quality hash and a friendly atmosphere to tourists. Other cities in Morocco’s northern Ketama region have made cannabis their main source of wealth. So is Morocco the latest hot pot travel spot? Yes, but unofficially. 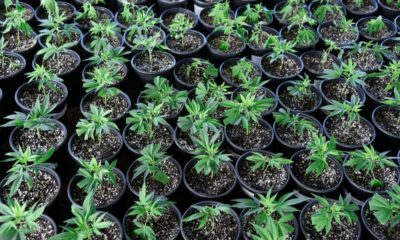 Even though the region’s cannabis farms and its high-quality hash are the main attractions, local residents have to keep everything off the books. Cannabis consumption and sale is illegal in Morocco. But that hasn’t stopped the country from becoming the export capital of hashish. And now, European tourists are traveling to the source, creating livelihoods for local residents. Moroccans call cannabis “kif.” And for many in the northern parts of the country, kif is the main cash crop. “The climate here is very special. Nothing grows here except kif,” he said. And indeed the fertile soil and mountain climate provide excellent growing conditions for a number of different species of cannabis plants. On his “kifficulteurs” tours of local cannabis producers, Mohamed Aabbout takes pride in pointing out the varieties under cultivation. Sweeping his arm across the cascading hillsides of cannabis plantations, “here you have the Mexican plant, the Afghan and the beldia (i.e. domestic),” Aabbout explained to Pakistan Today. Even though Moroccan kifficulteurs import their seeds, they’re the largest exporters of hash to Europe, according to the most recent data. Sure, Moroccan law bans the sale and consumption of the drug. But as of 2013, growing and selling cannabis provided a living for 90,000 households. Besides, smoking kif is a long cultural tradition. And as such, authorities largely tolerate it. In place of official regulation, a system of bribes and payouts keep the cops away from the kif farmers. Morocco may be enjoying a renewed bump as a hot spot destination for canna-tourism. But in truth, the country has been a destination for weed-seekers for decades. Back in the 1960s, hippie backpackers made Morocco a popular destination for hiking and getting high on cheap, high-quality hash. Today, that lawlessness, which is more like the law turning a blind eye, is what makes the kifficulteur economy possible. The cannabis culture in Morocco is flourishing so much that some tourists from Europe have taken to organizing hash “festivals” on Facebook. All in all, the parallels between cannabis tourism in the United States and in Morocco are striking. Both places offer visitors experiences like full facility tours, guided visits, product samplings and bargains on local product. It’s all unofficial of course. Most tours are led by small-time dealers and guides from the farms themselves. You won’t find any official, licensed tours here. But for many of the visitors who’ve traveled to the region to sample the local pleasures, one couldn’t ask for more. “Here, you smoke where you want, except in front of the police station,” Aabbout joked. And if you’re a tourist, you buy what you want, too.